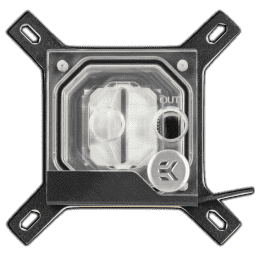 It seems it was only yesterday when I wrote the review for the latest and greatest CPU block from EK Water Blocks, the EK-Velocity, and since then, they have not only come out with new digital RGB versions, but also introduced a whole new lineup for blocks as well. The latter was no surprise having visited two room-fulls of items at Computex 2018 and, more recently, CES 2019. CES was when this new lineup, the so-called EK Classic, was unveiled with the intention to provide a more minimalist design at a more budget-friendly price. 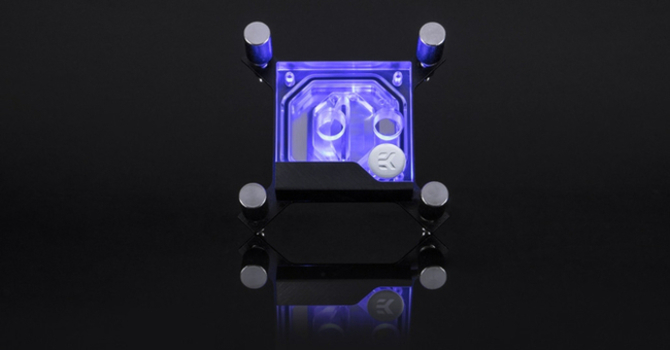 Currently planned only for the US market, the EK Classic lineup for now consists of a CPU block, a GPU block, and a reservoir/pump unit. Today, we take a look at the CPU block, the EK-Supremacy Classic RGB, and thanks again to EK for providing us with a review sample. EK's product names are getting longer than I would like, especially as I have to type it out each time, but I can't deny that they are descriptive. Just by the name, I can tell it is going to be reminiscent of the EK-Supremacy series of CPU blocks from previous generations and with RGB lighting support by default. Indeed, taking a look at the Intel version above brings back memories of my very first product review of the EK-Supremacy EVO. There are subtle changes no doubt to get this aesthetic more in line with EK's new Quantum design scheme, and I am all the more eager to know more as we begin the review with a look at the specifications below.